After trying out numerous lawn mowers we have come to conclusion that the best cheap lawn mower is Greenworks Lawn Mower! Greenworks Lawn Mower is well built electric lawn mower that’s available as either cord or battery powered, the latter being nearly twice as expensive. Corded lawn mower might seem like a bad idea at first but in reality it works well – initially when you first start using it does feel inconvenient but soon you start to figure out the best mowing route (usually starting closest to the cord and ending furthest) and then the cord doesn’t disturb you. The battery powered Greenworks Lawn Mower takes 1 hour and 15 minutes to be fully charged and the charge lasts for around 15 minutes of mowing. If that’s not enough for you then you can order extra batteries but they are pretty expensive as well. The cut quality is pretty good. You might have to go over the same spot twice once in a while but that doesn’t happen too often. 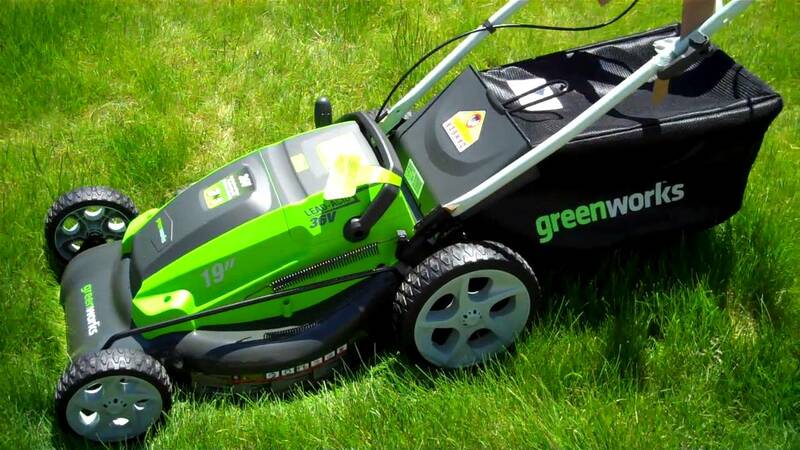 Greenworks Lawn Mower works very quietly compared to conventional gas mower, it’s also much lighter and with combination of large wheels is easy to push and manoeuvre. It also has way less vibration compared to gas mowers and is super comfortable to use. Height adjustment is simple and it has foldable handles for compact storage. The motor might get dirty from usage and if that happens just clean it with compressed air or leaf blower. Overall Greenworks Lawn Mower is well built product that performs its task of cutting grass very well, it is also very comfortable to use because of its light weight, quiet noise and no hassle of refueling and maintenance of conventional gas mower – that’s why it’s the best lawn mover in 2018!